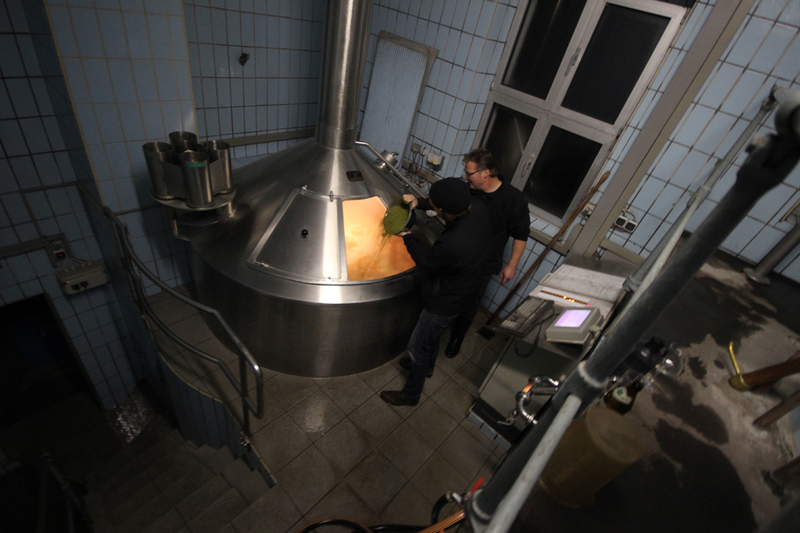 Thanksgiving Day 2013 was spent with Andreas Gänstaller at his brewery in Hallerndorf-Schnaid as he went about making the latest batch of Affumicator (9.6%). This meaty and savory melanoidin bomb of a doppelbock has been one of the rare 5.0 perfect ratings in my life. 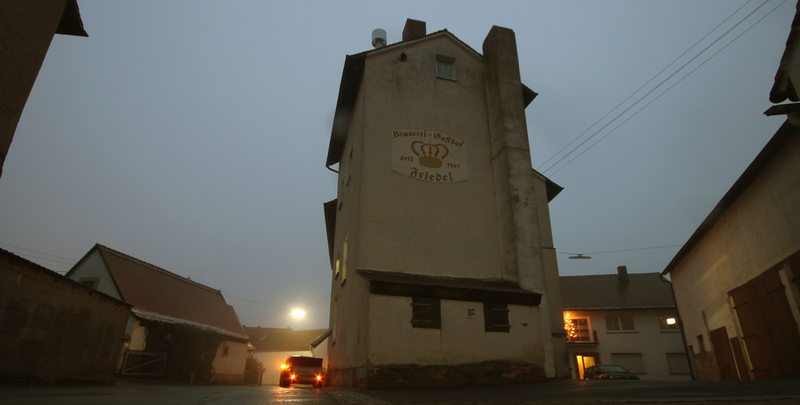 But we are at Gänstaller Brau to brew beer, not drink it, and even if we wanted to, you can’t find Affumicator in Germany anyways. 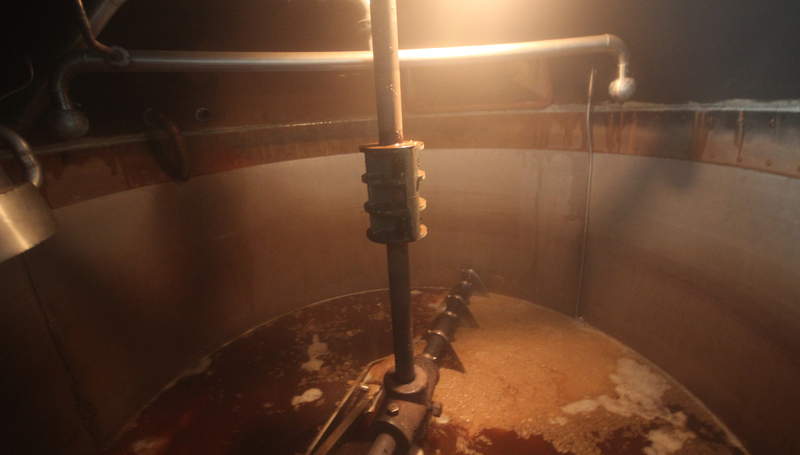 Franconians just don’t drink 9.6% Smoked Doppelbock. 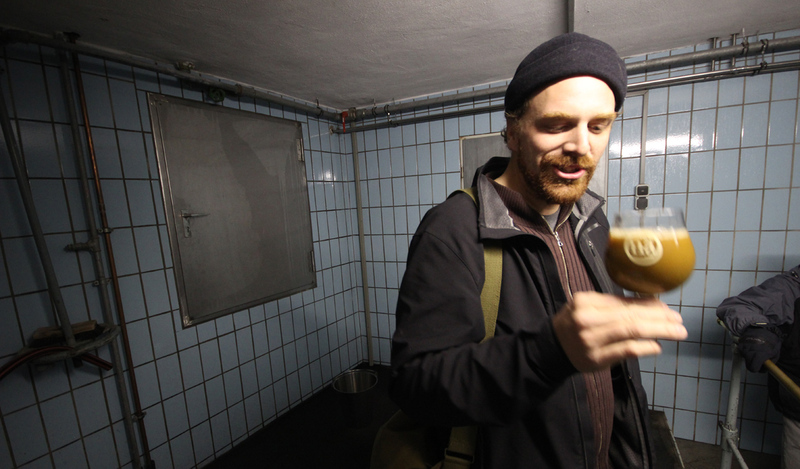 Other than personal kegs pulled for the Zoiglstube, this beer is only available outside of Germany, and the list of places serving it is short: 1) Ma Che Siete Venuti a Fà, 2) Akkurat, 3) Ølbaren, and 4) Moeder Lambic Fontainas (the last two sporadically, if ever again). 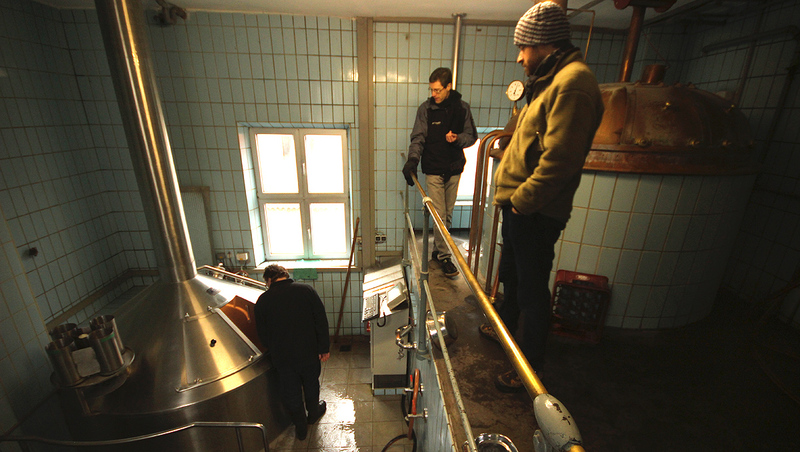 Three levels in the immediate brewery room, there was certainly some reach to the ceiling. 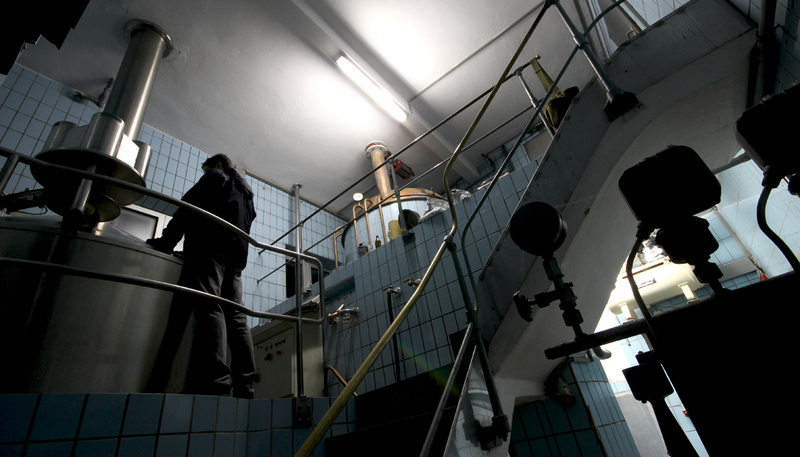 Two levels were reachable above here, and the cellar below was where the horizontal maturation tanks are held. 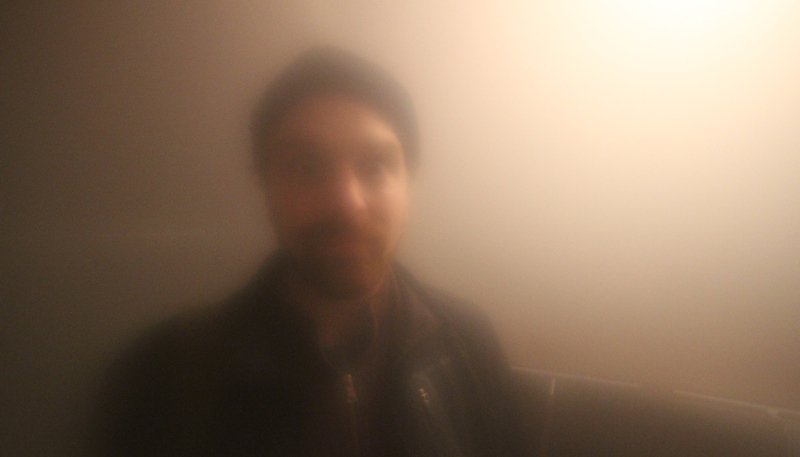 The old Friedels have a hell of an installation. Post-mash standing out in the street. 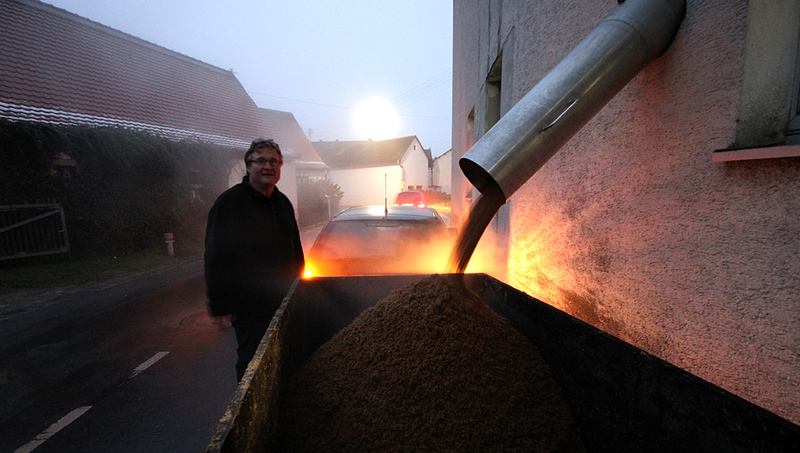 The spent grain is dumped out the side of the building and into a trailer which is hauled to the adjacent town and dropped as feed for cows and pigs and, of course, goose (the “Gans” of Ganstaller is the German to English translation of goose). 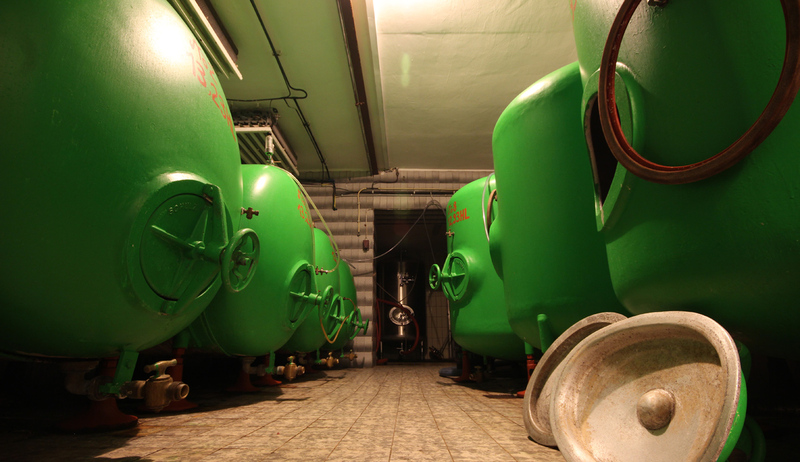 The glorious green maturation tanks of Gänstaller Bräu. 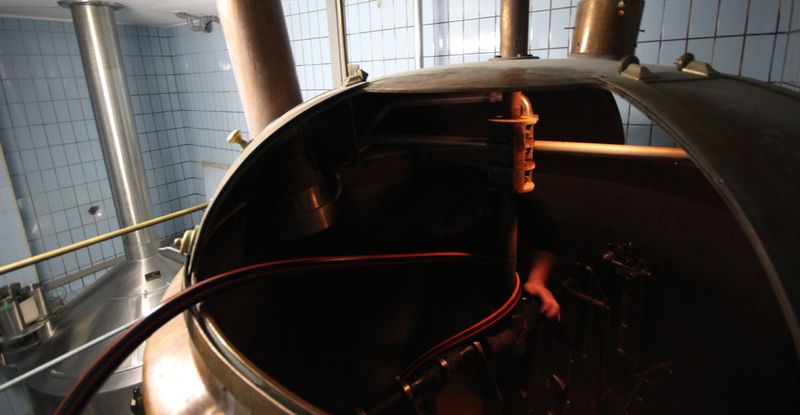 The lagering tanks sit at basement level, accessed by a concrete staircase spiralling around fresh painted pipework. 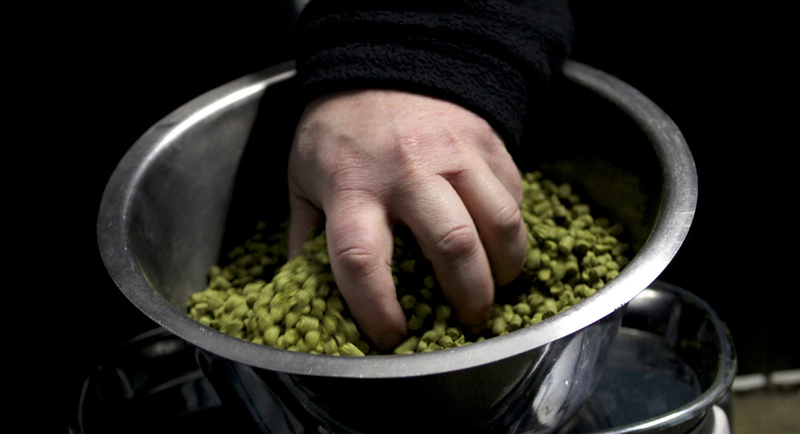 Having witnessed the careful measurements and timing of the hop additions, we were made to promise not to reveal it to anyone, and then we immediately forgot what the hops were anyways, so no risk of trade secrets getting out here. 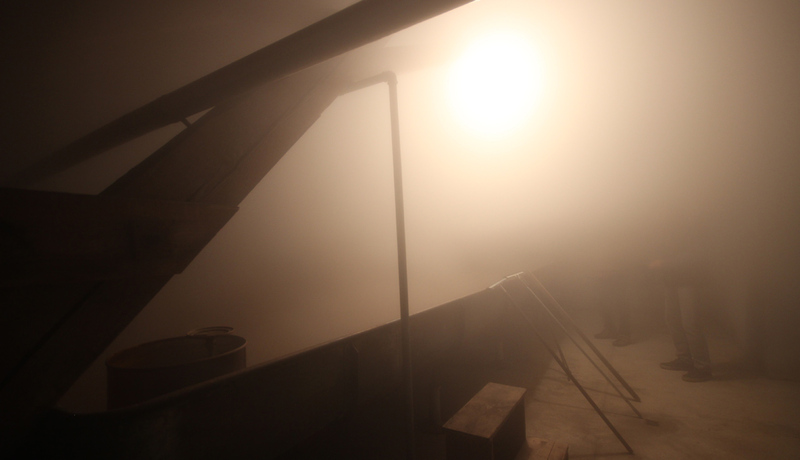 The last hop addition just before flameout. 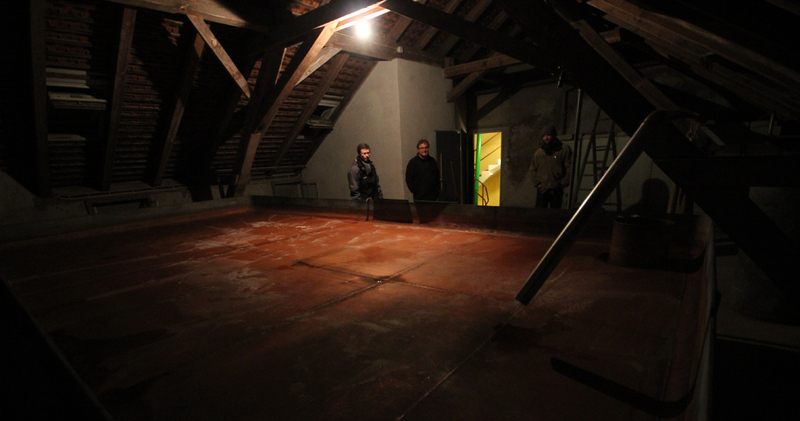 We climb to attic level and inspect the cool ship, before Andy goes back downstairs to pump the wort. 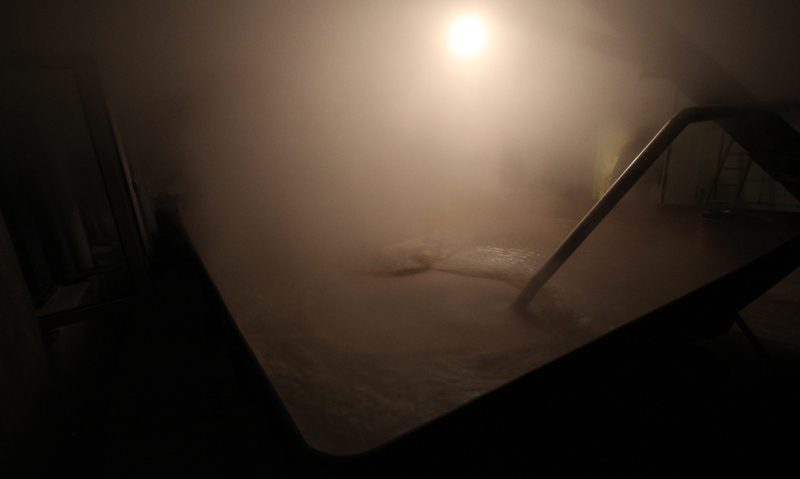 When wort is immediately steamed out in this way, the fine hop pellet micro-granules act as condensation nuclei increasing the amount of resultant steam (with respect to boiling water), and depositing millions of microscopic dollops of wort on every reachable surface, including camera lenses. Great beer from a true master brewer!